We love ground turkey in our house. I can't even remember the last time we bought ground beef. So we are always looking for great turkey recipes beyond the basic turkey burgers and turkey tacos such as turkey stroganoff. A few months ago we added another recipe to our list. I stumbled upon this unique turkey meatballs recipe from Family Fun while looking for something healthy hubby could take to work for lunch along with vegetables. I even calculated the calories for you. You're welcome! About 43 calories per meatball! Mix everything together in a bowl and form into about 30 meatballs. Bake at 400 degrees for 20-25 min. Mine are usually done at 20 minutes - I just cut one open to make sure. There was also a dipping sauce recipe for the meatballs using brown sugar and soy sauce but we didn't want the extra calories so I haven't ever made it. They taste great plain or with some brown spicy mustard - very low in calories. We make these at least once a month (for Eric's lunch or for our dinner) since they are so easy to whip up and reheat well. Try them out and let me know what you think! 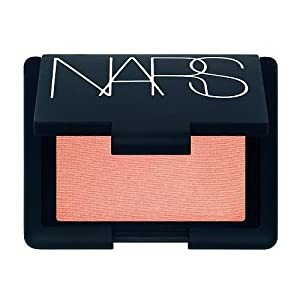 I had heard many people love this blush and say it looks great on most skin tones so I put in on my pinterest Wish List and dear hubby got it for me awhile back for my birthday. It is definitely amazing blush and looks fantastic! I planted a vegetable garden for the 3rd time. I had to plant a little later this year due to some cold weather we got in April that we don't normally have that time of year. There is zucchini, squash, red bell peppers, yellow bell peppers, and two different hot pepper plants. So far everything seems to be coming along nicely except not much has happened with the red bell peppers. I have heard those can take longer and can be difficult to grow so we shall see. I decided against tomatoes this year (even though I love tomatoes) because there is more maintainence involved and they so easily get damaged and are unusable then. What I love about peppers and squash is that if they get a little nic or scratch, they are still perfectly fine! I am also growing basil and oregano in pots and they are doing great so far. 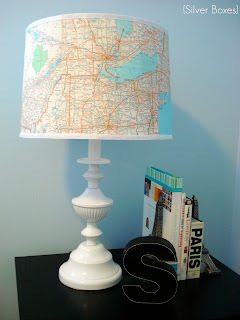 How awesome is this travelling lamp from Silver Boxes?! Completely awesome and seemingly simple so it is the feature of LaForce Likes 14. I found it on pinterest of course. I could definitely see this in our loft which will (one day hopefully soon) have photos of some of our fun travels... as soon as I can find a place that sells 11x14 and 16x20 skinny white frames. Anyone know of such a place?? Pretty please tell me you do and I will be so thankful!